COMMENT | Yet again, a Muslim group is raising the spectre of a Christian threat to the security of the nation and the position of Islam in Malaysia. In addition, the group gormlessly regurgitated baseless allegations that Hannah Yeoh, the Selangor State Assembly speaker and arguably Malaysia’s most prominent Christian, is using her book ‘Becoming Hannah’ to spread Christianity and cause confusion among Muslims. I wouldn’t be surprised if her book makes it to the ‘Guinness Book of Records’ for having attracted the most number of police reports in the world. “Invading” a country with the presence of God or building the “Kingdom of God”, for example, might sound ominous even though it simply means to pray that God’s presence and godly values will fill the land. It has nothing whatsoever to do with a physical invasion or a call to wage war against non-Christians. Similarly, the “Kingdom of God” has nothing to do with acquiring political sovereignty. help, as well, if Christians are more judicious in what they put out on social media; not everything needs to be broadcast to the whole world. JMPP and its fellow travellers might also want to note that Christian Malaysians have always eschewed violence. We don’t go around threatening to attack those who don’t agree with us, burn down their places of worship or rowdily demonstrate against religious events we don’t like. And we try to reach out to all who are in need and defend the rights of the persecuted and marginalised irrespective of race or religion. Many Christians, including Pope Francis and Archbishop Desmond Tutu, have for example, spoken out forcefully against the persecution of the Rohingya. In Malaysia, churches and Christian NGOs are also in the forefront of caring for refugees and other disadvantaged groups. Every time the lallang moves somewhere in the country, PAS, for example, immediately seems to conclude that it is part of some Christian conspiracy against Islam and jumps in to exploit it for maximum publicity and political mileage. DENNIS IGNATIUS is a former ambassador. He blogs here. Baru: No federal funds for Ba Kelalan roads? KUCHING: Ba Kelalan assemblyman Baru Bian is glad to know that Lawas MP Datuk Henry Sum had attempted to get some funds from the federal government to repair the Ba Kelalan road which is in a very bad condition. Baru, who is state PKR chairman, pointed out that problems with roads in Ba Kelalan have been long-standing, and he had brought them up on numerous occasions in the press and in the State Legislative Assembly (DUN), to no avail. “I was also glad to read that Deputy Chief Minister Tan Sri Datuk Amar Dr James Masing had said that there is no political discrimination in infrastructure development, and that it is based on needs and availability of funds,” Baru said in a press statement yesterday. He was commenting on The Borneo Post’s news reports yesterday –‘Residents running out of patience’– and Wednesday’s ‘Ba Kelalan folk in crying need of better road’ where the local residents were asking the ministers at both state and federal levels to find a solution to the damaged roads in Ba Kelalan. Being a matter in the federal list, Baru said the federal government is responsible for implementing road infrastructure for Sarawak. Baru welcomed the proposal by the timber company operating in the area to upgrade the road to R1 standard at a cost on RM35 million, as stated by Masing, and he hoped that the work would start immediately with repairs to the worst areas as shown in the news report. In the meantime, Baru said there are other stretches of Ba Kelalan roads that need repair, such as the Lawas-Damit road, which is riddled with potholes, where a fatal accident happened last month when a motorcyclist swerved to avoid a pothole. “The Minister had told the Dewan (DUN) in May that for 2017, a sum of RM3.6 million has been provided for the repair of critical stretches of this road and that the potholes will be tar-sealed to form a paved surface. So far there is no sign of any repairs yet aside from stones and gravel being thrown into the potholes. Baru said in the thrusts of Pakatan Harapan’s (PH) manifesto which was revealed on Sunday, the third thrust is the promise to guarantee the right to equitable basic infrastructure and land development. A QUESTION OF BUSINESS | Prime Minister Najib Razak had to dig deep to offer US President Donald Trump something tangible but even the much-touted US$10 billion, or RM43 billion, Boeing jet purchases turn out to be less than what they seem. In his meeting with Trump earlier this month, Najib offered three things to help the US economy, including what Trump said was US$10-20 billion to buy Boeing jets and General Electric engines. Najib thanked Trump for the meeting and said that he came with a value proposition to “strengthen” the US economy. 1. 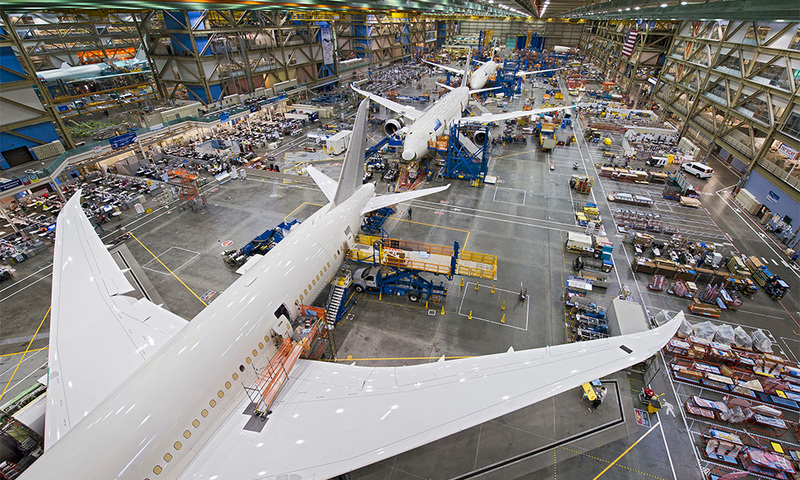 Increase the number of Boeing planes committed from 25 B-737s and eight 787 Dreamliners with the “strong probability not possibility that 25 more 737 Max10” will be bought in the near future. Within five years, these would be worth “beyond RM10 billion”. Also, Najib said he will try and persuade AirAsia to buy GE engines. 2. The Employees Provident Fund (EPF) has so far invested over US$7 billion in equity in the US and intends to invest a further US$3 billion to US$4 billion “to support your infrastructure re-development in the US”. 3. Malaysian sovereign fund Khazanah Nasional has investments of US$400 million in Silicon Valley in high-tech investments. It intends to increase investment here. Enough has been said about his proposals to “strengthen” the US economy and the US$10 billion plus purchases of Boeing jets taken together with EPF’s and Khazanah’s investments will be a mere drop in the ocean of an economy in 2016 of nearly US$19 trillion (over RM80 trillion). Even US$20 billion is just 0.0001 percent of US$19 trillion, showing how little Najib’s offers will help the US economy! The EPF already has a policy of overseas equity investments and the US, which has the largest equity market in the world, must be a major target market for the EPF already to diversify its portfolio and increase its returns - nothing new there. Ditto for Khazanah Nasional’s US$400 million investment in Silicon Valley which may increase in the future. But even the RM43 billion that Malaysia is offering in terms of jet purchases may well not turn out to be the full sum that Malaysia Airlines will spend on Boeing jets. After confusion over its future fleet policy and purchases, with talk of reopening European routes closed during the rationalisation and flying again to the US west coast and seeming contradiction with its earlier fleet programme, Malaysia Airlines issued a statement to clarify the proposed purchases. The airline said it has a firm order of 25 Boeing 737 aircraft “with everything else being optional”. “The options, as well as a variety of other arrangements including the recent MoU with Boeing, will allow us to have some flexibility in deciding which aircraft suits our operational environment best,” it said. That means the only firm order is for the 25 Boeing 737-MAX8 and MAX10 aircraft. While the statement did not give the cost, at a price of around US$100 million a plane, 25 will cost around US$2.5 billion or RM10.8 billion, about a quarter of the RM43 billion of Boeing purchases bandied about. But the addition of the eight Boeing 787 Dreamliners is something new, although it remains an option for now as well as the additional option to purchase a further 25 Boeing 737s. 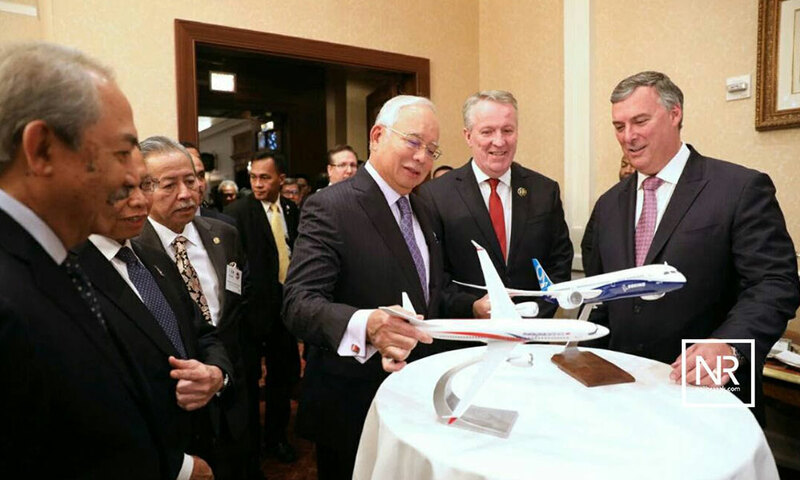 However, Najib’s statement at the meeting with Trump implied the Dreamliner purchase was already committed while there was “probability not possibility” of the extra 25 Boeing purchases. Malaysia Airlines said in its statements that it has been exploring various options for widebody aircraft, for possible delivery in 2018 and 2019, “to address the rapid growth in international sales which requires additional wide-body aircraft”. While it has been talking about replacing the Airbus 380 on the KL-London route with the lower capacity Airbus 350, there was no previous discussion of using the Dreamliner for any of the routes it has been planning to reopen or initiate. 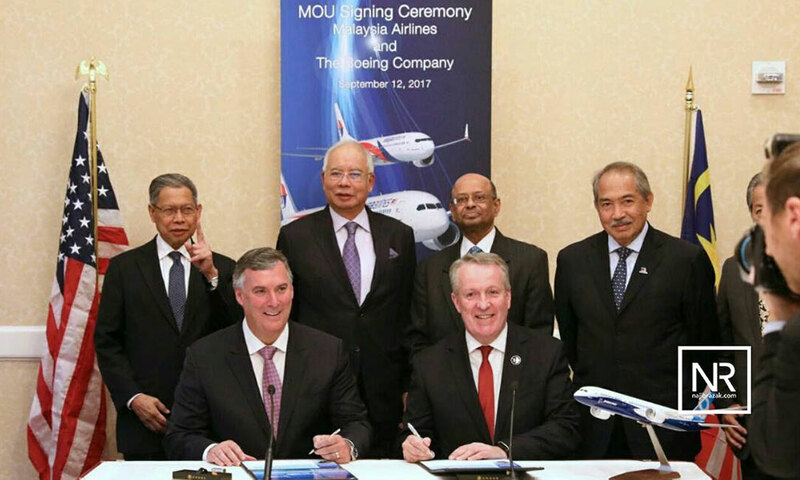 Malaysia Airlines said the list price for the eight Boeing 787-9 Dreamliner aircraft is some US$2.5 billion and it “will negotiate extensively to ensure the best value on confirmation of order”. It added that if the order is confirmed, the initial 787-9 Dreamliner deliveries are planned for operating Asian services. 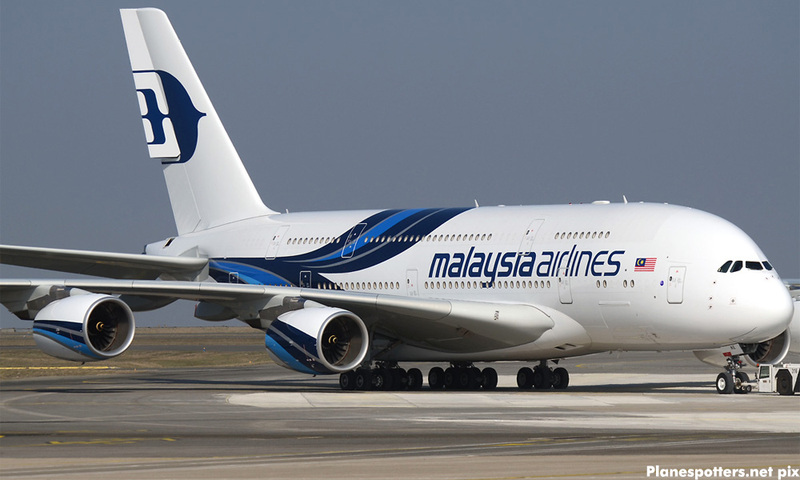 “The growth of the Malaysian economy and the increasing globalisation will allow these aircraft to commence new long-haul services from 2020 onwards if sufficient profitable demand exists,” Malaysia Airlines said. Clearly, Malaysia Airlines is still rethinking its options for its fleet. For Najib to use this process and to further even offer to persuade AirAsia to buy General Electric engines from the US is rather disingenuous to say the least and puts these two Malaysian airlines in a needlessly uncomfortable position, constraining their full range of options. That has all the hallmarks of not just political expediency but desperation to show publicly that the US, despite the extensive investigations of 1MDB by its Department of Justice which has unearthed at least US$4.5 billion in theft, still endorses him as a leader. But it looks like that Boeing deal and the other announcements have boomeranged on him, putting him on even more a slippery slope than before. It will be pretty hard for Najib to spin that the Trump meeting was a triumph although attempts are being made to do just that. P GUNASEGARAM says suppressing truth is much like holding a ball under water - it has a way of surfacing and resurfacing despite attempts at keeping it submerged. E-mail: t.p.guna@gmail.com. KUCHING: Pakatan Harapan (PH) vows to review the Malaysia Agreement 1963 (MA63) and re-negotiate with Sarawak and Sabah a deal that is fair to all the parties if the coalition comes into power after the 14th General Election. Its chairman and former prime minister Tun Dr Mahathir Mohamad said discussions would be held to find a way to return the rights that belong to Sarawak and Sabah under the MA63. “There are many things that we can do by revising the original agreement (MA63) between Sabah, Sarawak and Peninsular Malaysia. These we will be discussed to find a way to give (back) what belongs to Sarawak and Sabah. “Pakatan Harapan promises that we will negotiate once again on the 20-point (for Sabah) and 16-point (18-point) for Sarawak,” said the elder statesman who was seen wearing a ‘Make Malaysia Great Again’ cap during Pakatan Harapan’s ‘New Deal, New Hope’ rally at BDC here on Sunday. Dr Mahathir, who was on his first trip to the state as an opposition leader, therefore urged Sarawak and Sabah voters throw their full support behind PH to enable the coalition to win a two-third majority in the Parliament. Dr Mahathir, who was the Prime Minister for 22 years, said before a law or policy is introduced in the Parliament, a consultation should be held between the three regions; Peninsular Malaysia, Sarawak and Sabah to get their consent. “By right, negotiation must be held among the three regions, but when we formed Malaysia, there is no longer any negotiation between Sabah, Sarawak and Peninsular Malaysia. What happened was we used the Parliament to pass various laws and policies. Citing Petroleum Development Act that was passed in 1974 as an example, Dr Mahathir said during that time, there was no discussion between Sarawak, Sabah and Peninsular Malaysia. “The one we had was Parliamentary meeting (sitting) which approved the agreement without taking into account the feelings of the people in Sabah and Sarawak. “The reason is because in Parliament, the Peninsular Malaysian states have more representatives than Sabah and Sarawak. Therefore, every law introduced by the federal government is approved in the Parliament. “That’s why we found out that there was no negotiation regarding 20-point agreement for Sabah and 16-point (18-point) agreement for Sarawak. If there was any negotiation, surely the agreement made between the three regions will be fair. Dr Mahathir, who is also Parti Pribumi Bersatu Malaysia chairman, noted that when the Petroleum Development Act was introduced, Tun Abdul Razak was the Prime Minister; therefore the allegation that he changed the law was not true. “From there, we have a law regarding the Territorial Sea Act. We know that some 12 nautical miles from the coastline is owned by the state. But when we made this law, we found that this is owned by Malaysia as a country. There was no consideration for Sabah, Sarawak and Terengganu. He also noted that when the Territorial Sea Act was approved in 2012, the Prime Minister was Datuk Seri Najib Tun Razak. Dr Mahathir acknowledged that the people were also not happy with the current education system. When asked by a member of the crowd on whether PH government would abolish Goods and Services Tax (GST), Dr Mahathir responded in the affirmative. “I just want to point out, when I was Prime Minister, the price of oil was only US$30 per barrel and companies did not make more than RM200 million profit. But nowadays, although the price of oil had came down from US$120 to US$50, it is still more than the US$30 that was paid for one barrel of crude oil. With the weak financial position of the federal government, Dr Mahathir wondered how Najib could build the Pan Borneo Highway considering that the project would cost a lot of money. He thus called on all Sarawakians and Sabahans to ‘throw out’ Najib in the 14th General Election and have a PH government in place to serve them. 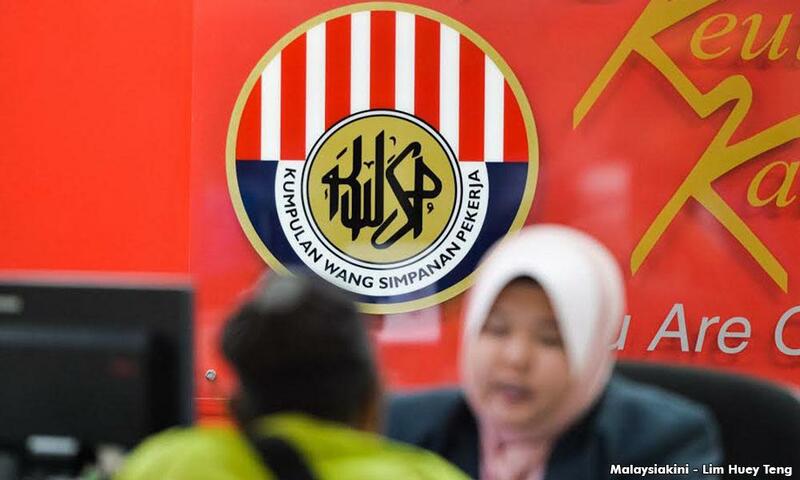 The challenge mounted by three Hulu Selangor voters on the Election Commission’s (EC) recent redelineation exercise will take longer than expected, as the Federal Court allowed the commission to pose three questions of law. 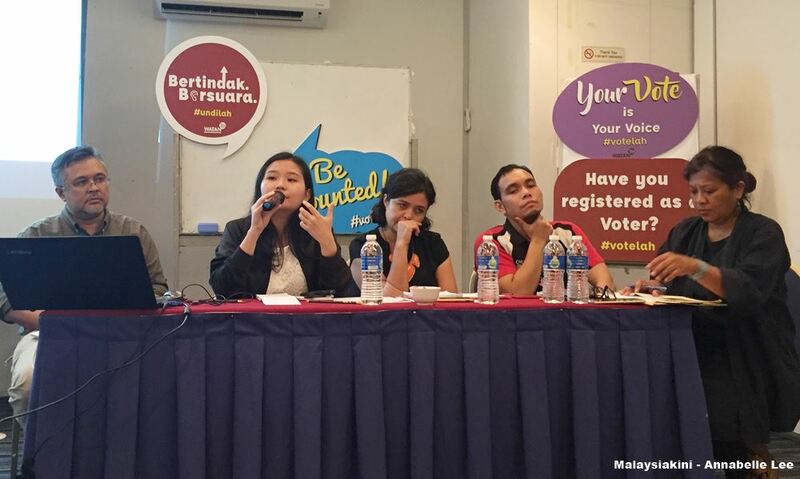 The three voters – P Maradeveran, Zahar Rusuli, and Yong Chan Hee – found themselves part of the Kuala Kubu Bharu state constituency after the EC’s redelineation exercise, having previously been registered in Batang Kali. They filed suit in October last year, claiming that the EC had exceeded its powers under Section 7(2) of the Elections Act 1958 by shifting voters across state constituency boundaries without their knowledge. A three-member bench, led by Justice Ahmad Ma'arop, said it unanimously allowed leave to the EC and the Attorney-General’s Chambers (AGC) for the questions be posed, including one on an ouster clause regarding Section 9A of the Elections Act 1958. “We are unanimous in our decision, we feel there are question of law needed for further argument regarding the general principle,” Ahmad said. The same bench had earlier dismissed former Bersih 2.0 chairperson Ambiga Sreenevasan’s challenge of an ouster clause in the Immigration Act 1959/63, after she was not granted leave to challenge her Sabah travel ban. 3. Whether the publication of a gazette constitutes sufficient communication of the decision of a public authority to the affected person under Order 53 Rules of Court 2012. Section 9A of the Elections Act states that once an electoral roll has been certified, and notice of the certification has been published in the gazette, it shall be not be questioned, appealed against, reviewed, quashed, or set aside by any court. In January, the High Court in Kuala Lumpur dismissed an application for judicial review brought by Maradeveran, Zahar, and Yong against the EC, which was subsequently overturned by the Court of Appeals. The Appeals Court ruled that the voters were not out of time in filing the judicial review application, as it is based on the date the letter the EC sent on Aug 3, 2016, informing them of the move to Kuala Kubu Bharu, and not the earlier gazette dated April 29. 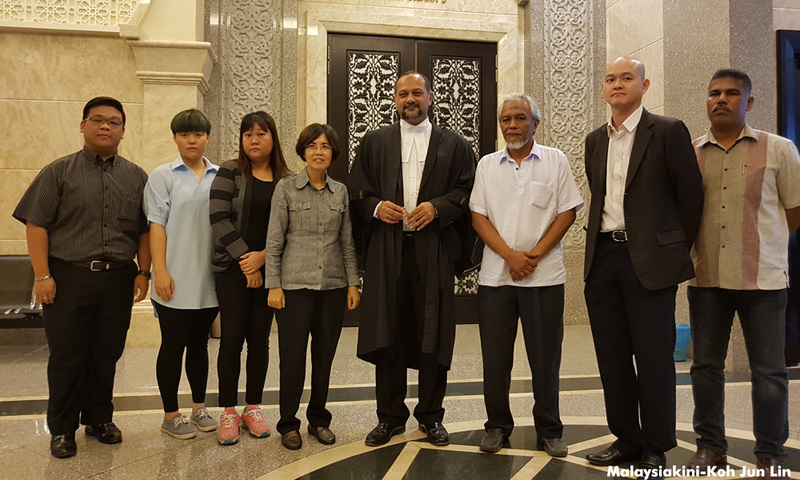 Gobind Singh Deo, appearing for the voters, said that since there is an ouster clause in Section 9A, and that the court had earlier dismissed Ambiga’s challenge to an ouster clause, the hearing should proceed to the High Court. With this, the apex court will decide whether the judicial review can be made based on the April 29 gazette or the Aug 3 letter, as voters are allowed three months to challenge the electoral roll. COMMENT | The continuing rhetoric and polemics on the Malaysia Agreement 1963 (MA63) in Borneo, with an occasional response from Putrajaya, misses the real issue in Sabah and Sarawak: decolonisation. Bingkor assemblyperson Jeffrey Kitingan, a longtime Borneo rights advocate, has called for a new MA63, where Sabah and Sarawak will be equal partners with Malaya in the Federation of Malaysia. This doesn't quite jell with the definition of "Federation" in Article 160 of the Federal Constitution. The "Federation" is defined in the article as that based on the Federation of Malaya Independence Act 1957. It reinforces the Federation of Malaya Independence Agreement 1948. On July 13, 1976, Article 1 (2) of the Federal Constitution was amended to read that Sabah and Sarawak would be states, the 12th and 13th, in the Malayan Federation, now known as Malaysia. The Malaysian government takes the position that this was in compliance with MA63. Earlier, before Jeffrey called for a new MA63, he had based his politics on claims that the federal government of Malaysia had been in non-compliance on MA63. On Sept 11, 1963, the government of Malaya told the Supreme Court that "the Federation of Malaya would continue after Sept 16, 1963." It was facing a lawsuit by the government of Kelantan on Malaysia. Matters have not been made any easier by Prime Minister Najib Abdul Razak pledging on Malaysia Day that his administration would restore the rights of Sabah and Sarawak under MA63. The late Sarawak chief minister Adenan Satem also called for the autonomous status of Sabah and Sarawak, as it existed on Sept 16, 1963, to be restored. Najib, in response, had offered to devolve greater administrative powers to Sabah and Sarawak. The prime minister explained that such devolution would mean weeding out duplication of state and federal departments. Federal departments would be transferred to locals or the state governments of Sabah and Sarawak. Since Adenan's passage, there has been no news from Putrajaya, or the Sarawak government, on the proposed administrative devolution. Again, the crux of the issue is decolonisation. 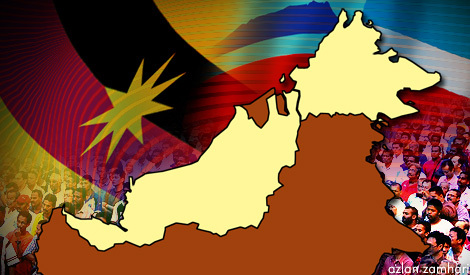 It could be argued that the entry of Sabah and Sarawak into the Federation of Malaysia was one form of self-determination. This would be true, of course, if it was the intention of the people of Sabah and Sarawak that their homelands merge with the existing states in Malaya. However, there's no such intention on record. MA63 itself speaks of Sabah and Sarawak, and Singapore as well, federating with the existing states in Malaya. In Singapore, there was a "yes/no" vote, on the eve of Malaysia Day, on the merger with Malaya. Singapore's predominantly Chinese population was one reason the departing British dragged Sabah and Sarawak, Orang Asal homelands, into the federation with Malaya. Singapore was happy to be in Malaysia because of its economic strength and the greater prospects in a customs union and common market. The British also wanted to shed their defence burden in Singapore and Borneo, and to place their commercial empire in Singapore, Malaya and Borneo under one administration in Kuala Lumpur. There are parallels in Borneo, with Indonesia's occupation of East Timor for 27 years, and Israel's continuing occupation of the West Bank. If Palestine can be accorded observer status at the UN General Assembly, Sabah and Sarawak should be accorded the same right. Sabah and Sarawak should also be admitted to international bodies. Palestine has been accorded this right. The UN Security Council should, at the same time, work on the decolonisation of Sabah and Sarawak. They were not given self-government or independence before Malaysia. Singapore had self-government before Sept 16, 1963. Decolonisation would be the way forward for these poverty-stricken states in Borneo. It's the colonial nature of the relationship between Putrajaya and Sabah, Sarawak, that keeps Sabah and Sarawak at the bottom of the dung heap. Brunei stayed out of Malaysia at the 11th hour, Singapore was given independence in 1965. Both these nations are now are light years ahead of Sabah and Sarawak. The UN Security Council can help avoid a Rohingya-style problem developing in Sabah. The illegal immigrants should be given an identity, but not a Sabah identity. At present, many of them apparently hold "Malay" MyKads. These are clearly fraudulent documents, given the definition of "Malay" in Article 160 of the Federal Constitution. Malay is a term confined to Singapore and Malaya and governed by Merdeka, Aug 31, 1957, the cutoff date for that status. 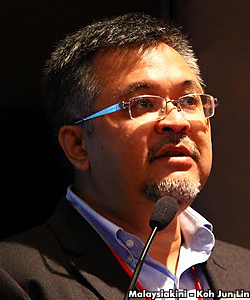 JOE FERNANDEZ, a longtime Borneo rights watcher, is a freelance journalist who was once Sabah correspondent for Malaysiakini. Despite being highly dissatisfied with the BN government, polls show that the youth in the country are also dispirited with the political system as a whole - perhaps pointing to the failure of the Opposition to present a formidable alternative to capture their imagination. The recent National (Youth) Opinion Survey conducted by opinion research firm Merdeka Center asked youths how satisfied or dissatisfied they were with the performance of the BN federal government, to which two-thirds - 67 percent - answered that they were dissatisfied. Some 75 percent of them felt that politics was “too complicated” for them to understand while more than half (54 percent) felt that most politicians did not care about the people. 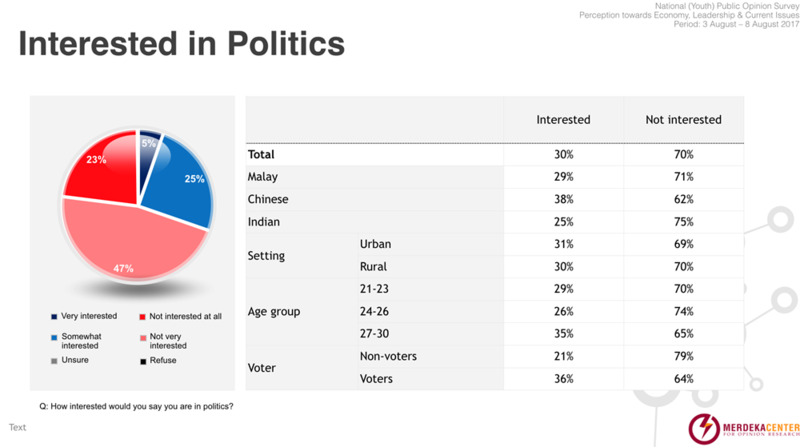 Most of those interviewed (66 percent) also did not think that politicians, in general, were trustworthy and the same percentage believed politicians were, in fact, the “main problem in Malaysia”. Commenting on the results, Merdeka Center programme director Ibrahim Suffian deduced from the low interest shown in politics despite disaffection with BN that the Opposition has not been able to offer a formidable alternative to youth. “Opposition parties have not come together in a united way,” Ibrahim (photo) said at an ensuing panel discussion on the poll results at a hotel in Petaling Jaya last night. Young voter and debating champion Jasmine Ho observed that much is needed to be done to engage young voters. “Dissatisfaction with the government does not directly translate to support for the Opposition, as seen from their disinterest in politics and lack of faith in the existing political system. “Politics should be more about issues and policies, not just about highlighting scandals,” Ho said. The poll also showed that at the top of concerns among the youth were economic issues, not politics. Many said issues such as cost of living, inflation and job opportunities were causes for concern, compared with the six percent who said that the 1Malaysia Development Bhd (1MDB) affair was a “top issue”. Lawyer Syahredzan Johan added that the failure of Opposition parties to capture this sentiment would serve as an advantage to BN, while Ibrahim questioned if voters would trust the Opposition enough to vote for them. “Why do people vote for political parties? Government performance is but one reason. “Political parties are also arenas where inter-communal interests are fought over, and issues of race and religion come into play. Identity politics. “Therefore, despite being unhappy with the government, do young voters trust the Opposition to run the country? “They might make trade-offs between race and religion, with economic issues when voting,” Ibrahim argued. According to the Election Commission (EC), two-thirds of the 3.8 million (as of March 31) eligible Malaysians not registered to vote are between the ages of 21 and 30, making them the largest bank of non-voters in the country. The poll, conducted over the phone between Aug 3 to 8 this year, involved 604 respondents between the ages of 21 and 30 from 165 parliamentary constituencies in 11 states and one federal territory in Peninsular Malaysia. Jointly organised by the pollster and voting rights NGO Watan, this discussion was attended by more than 40 people. Also on the discussion panel was gender activist and Musawah programme manager Suri Kempe and Watan executive director Masjaliza Hamzah. 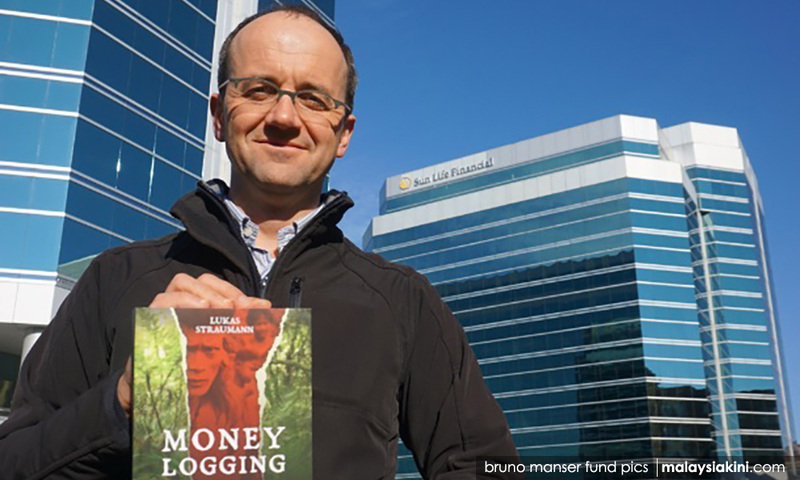 A Canadian superior court has ruled that a money-laundering case involving a company linked to Sarawak Governor Abdul Taib Mahmud will be heard in public, according to Swiss NGO Bruno Manser Fund (BMF). In a statement, BMF said the case it filed in July to gain access to the financial records of Ottowa-based Sakto Corporation and its affiliated companies was originally sealed, before the Ontario Superior Court lifted the order. 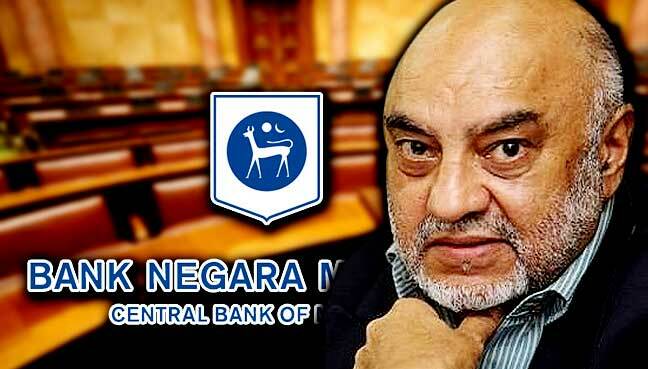 BMF claims that the Taib family had channelled millions of ringgit in allegedly illicit money into the company. 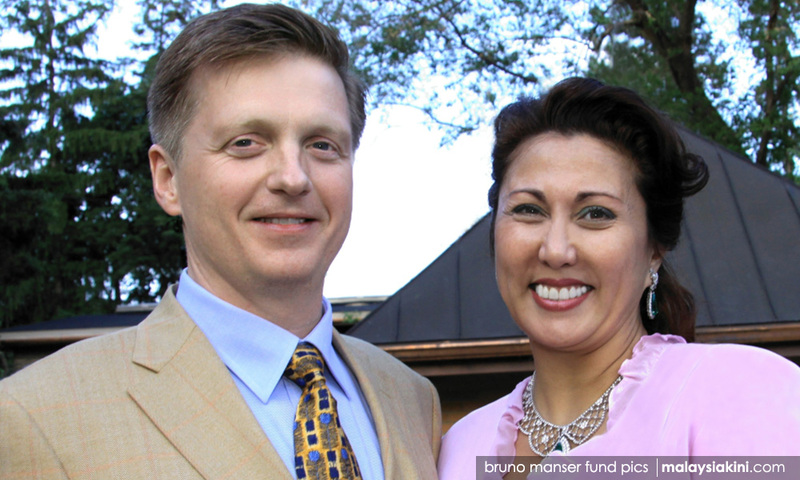 Sakto was co-founded and is chaired by Taib's daughter Jamilah, whose husband Sean Murray (the couple below) is the company president. The company mainly deals in property development. 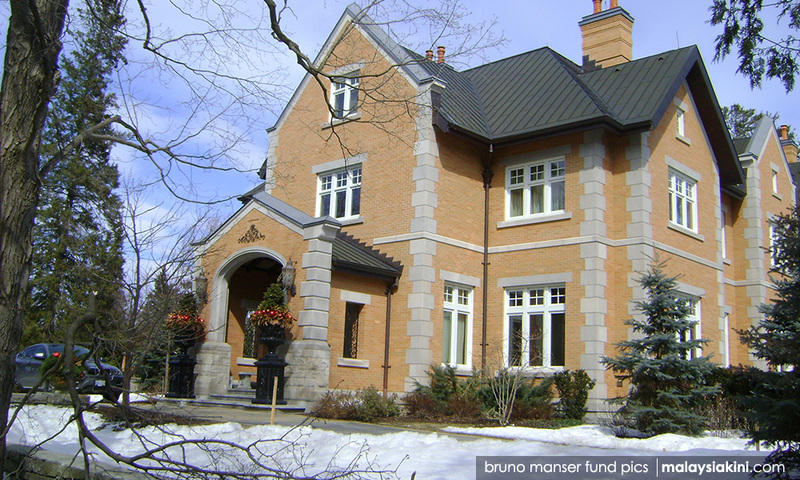 BMF is suing the Royal Bank of Canada, Toronto-Dominion Bank, Manulife Financial Corporation and Deloitte Touche Tohmatsu to compel them to disclose beneficial ownership information and records of the alleged flow of funds from Malaysia into Sakto. BMF is hoping to use that information to pursue private prosecution against Sakto. Malaysiakini has contacted the offices of Sakto and Taib for their response. In March, a BMF report presented in the Canadian Parliament claimed that the Taib family channelled at least Canadian $69.8 million (RM232 million) to the Sakto group of companies. The report noted that Taib, the former Sarawak chief minister, had said in an interview that he provided Jamilah an undisclosed amount of money to start her business in Ottawa. He claimed that the money was from gratuity he received upon resigning from the federal government in 1981. However, Murray in the letter denied that Taib was involved in the company. Ex-BNM governor Jaffar Hussein and auditor-general Ishak Tadin could have given evidence if a timely investigation was conducted, says Gurdial Singh Nijar. PUTRAJAYA: The failure to have two key witnesses give evidence is a major setback in the Royal Commission of Inquiry’s (RCI) attempt to investigate forex losses suffered by Bank Negara Malaysia (BNM) about 25 years ago, a lawyer said. Gurdial Singh Nijar said this event was a grim reminder that the authorities should conduct a probe as soon as a fiasco was discovered as the facts were fresh in the minds of witnesses. Gurdial, who represented Anwar Ibrahim at the RCI hearing, said former BNM governor Jaffar Hussein and ex-auditor-general Ishak Tadin were two important witnesses to unravel the events then. “However, Jaffar had passed away while Ishak is incompetent to give evidence due to his medical condition,” he told reporters. RCI chairman Mohd Sidek Hassan had earlier declared the proceedings concluded without hearing the testimony of Ishak, who was supposed to be the last witness. Ishak’s son Rizal said his father, who was auditor-general between 1986 and 1994, could not testify due to memory loss. He said his father’s memory and thinking skills had been impaired and he would not be able to remember key events relevant to the inquiry. “My father started having cognitive impairment sometime in 2007. As a result, he is unable to recall,” he said. Jaffar, who was governor from 1986 to 1994, resigned from office after taking responsibility for the loss and passed away in 1998. Gurdial said the outcome of the RCI would be handicapped as many facts of the case could not be verified through the two personalities. “There is a huge gap in the chain of evidence. For example, we do not know about the communication between Jaffar and Anwar who was then the finance minister,” said Gurdial who appeared at the hearing together with Sivarasa Rasiah. Gurdial said he was perplexed why Minister of International Trade and Industry Mustapa Mohamed now agreed to have the RCI on the forex losses, although he had rejected it in 1993 when he was the deputy finance minister. Meanwhile, Sivarasa said the RCI proceedings were unfair as lawyers appearing for concerned parties were not given key documents. “How are we going to prepare a detailed submission for the RCI’s consideration when we were denied material facts in the documents?” he asked. Sivarasa predicted Anwar would be among those who would be held responsible in the report. “We cannot contest any unfair findings of the RCI as its recommendations cannot be set aside in a judicial proceeding,” he said. Sivarasa, who is PKR’s Subang MP, said they would use the public sphere to challenge the report. Lawyer Mohamed Haniff Khatri Abdulla said the RCI was set up with a political motive. “This RCI is a waste of time and public resources to deliberate on an event that took place about 25 years ago,” he said. Haniff, who represented former prime minister Dr Mahathir Mohamad, said blame would be apportioned to Anwar and former BNM assistant governor Nor Mohamed Yakcop. He said BNM, as an autonomous body, ventured into forex activities to manage its external reserves and to stabilise the ringgit. The losses, he said, were suffered as a result of an attempt to protect the ringgit from rogue currency speculators. “It is not a case of someone who stole money for personal gain,” he said. Hearsay and so-called evidence with crater-sized holes were accorded inordinate importance in the Bank Negara Malaysia forex losses royal commission of inquiry. – The Malaysian Insight file pic, September 19, 2017. THE farce is over. The most amateurish inquiry in the history of Malaysia, held with the sole purpose of scoring political points, is done. The royal commission of inquiry into Bank Negara Malaysia's forex losses nearly 30 years ago finally wrapped up its proceedings today, having questioned 25 witnesses and studied 42 documents on the losses. May we never see the likes of this sham again. It was chaired by someone who should be remembered with only disdain. Mohd Sidek Hassan ended his civil service career as chief secretary to the government and went on to become Petronas chairman, but his conduct did not display any of that. He made conclusions early on, refused to retract his remarks and questioned the witnesses in an adversarial manner, to the consternation and chagrin of all present. Was this an inquiry or a full trial, one wonders. Dr Mahathir Mohamad put it succinctly when he thought out loud what the RCI's purpose was: not a probe into the forex losses, but to make him look bad. "It is about finding a way to make me look bad in the eyes of the public. That during my time, money was also stolen," he had told reporters in Putrajaya. It was an inquiry so lacking in documentary evidence, it was shocking. It was just based on what people said, and there was no interest in recalling them when there were contradicting testimonies. From day one, this RCI appeared to be a probe to connect the dots and nail Dr Mahathir, Daim Zainuddin or others who have become enemies of Prime Minister Najib Razak. Hearsay and so-called evidence with crater-sized holes have been accorded inordinate importance. Conclusions were made publicly early on, and not retracted. No wonder, then, that right-thinking Malaysians stopped following the RCI. The stench of the farce was too strong to bear. It was not so much an inquiry, but a barely disguised inquisition and prosecution to taint critics. It did not quite work out that way, though. It just added to the shameful sham piling up in Putrajaya. – September 19, 2017. PAS and PKR elected representatives in Selangor have dismissed the speculation that the state government could be hit with defections. 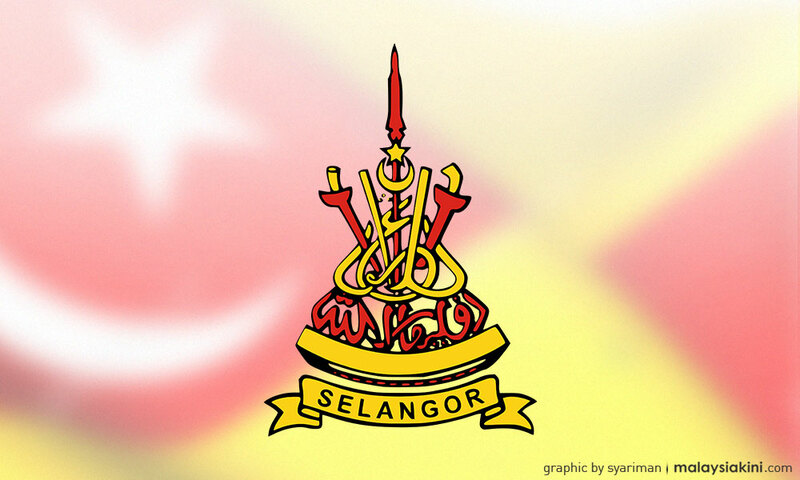 This comes in the wake of certain quarters claiming that a coup could take place in Selangor similar to the one which led to the collapse of the opposition government in Perak in 2009. PAS vice-president Iskandar Samad claimed it would be impossible for Umno to attract assemblypersons from Selangor, including those from PAS. The senior state exco member said PAS is committed to fulfilling the mandate given by the people to develop Selangor since the 2008 general election. “I don't see this (defections) happening because the state government is functioning well,” he was quoted as saying by SelangorKini. Meanwhile, PKR's Selangor exco Daroyah Alwi denied there is a possibility of a backdoor power grab taking place in Selangor. She said the assemblypersons' support for Menteri Besar Mohamed Azmin Ali remains strong. “Of course, we remain with the principle of PKR's struggle. “Whatever the threats or disturbances, we remain steadfast in the struggle of Anwar Ibrahim, led by (PKR president) Dr Wan Azizah (Wan Ismail). “And in Selangor with Azmin. We will not be divided on this,” she told Antarapos. Another state exco, PKR's Amirudin Shari claimed that the speculation of a coup is an attempt to divert attention from Prime Minister Najib Abdul Razak's press conference yesterday. There had been high anticipation of a major announcement at the press conference yesterday, as top Umno leaders throughout the country were summoned to Kuala Lumpur. However, when the announcement turned out to be that former Selangor menteri besar Muhammad Muhammad Taib was returning to Umno, the opposition began to joke about the anti-climatic outcome. This led to speculation that Najib was to announce defections of state assemblypersons in Selangor, but had to settle for Muhammad after it failed to materialise at the last minute. 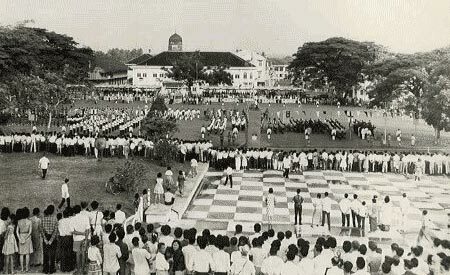 When I was a schoolboy, 16 September was celebrated on a large scale in Ba’ Kelalan but for some reason, it was called Hari IbuBapa. However, the celebrations stopped in the 70’s until we restarted them in 2012. I remember during the years 1967-1969, many people came from Sabah and Indonesia to join us and take part in the activities. This was a reciprocal event with Long Bawan in Indonesia. The people of Ba’ Kelalan would cross over to Long Bawan on 17 August each year to join in their Hari Augustus (which is their Merdeka day), and on 16 September, the people of Long Bawan would trek over to Ba’ Kelalan to join in our merrymaking. Our fellow Lun Bawangs from Long Pa’ Sia in Sabah would do the same. I remember it used to take 1 or 1.5 days to walk between Long Pa’ Sia and Long Semadoh, but in those days, the people just took it in their stride. When we reinstated the 16 September celebrations in 2012, the people of Long Pa’ Sia came with a strong team, which won the cross-country race to Puneng Trusan and back. This year, villagers from Long Pa’ Sia and 6 villages in Indonesia will be converging in Long Sukang from 14-17 September. Activities planned include football, volleyball, sepak takraw, and cultural events including bamboo band performances, choir competitions and a parade. This 16 September celebration in Ba’ Kelalan is significant for us as to my knowledge, no other constituency in Malaysia organises and carries out the Malaysia Day celebrations on their own initiative. The Lun Bawangs regarded 16 September 1963 as an important day as it was the day when all Malaysians welcomed the promise of a brighter future for this new federation of Malaysia. Since the 2010 recognition by the federal government of 16 September as Malaysia Day, many Sarawakians are beginning to take an interest in learning about how Malaysia was formed, and the part played by the Borneo Territories of North Borneo and Sarawak. With this growing interest, we must do our part in correcting the wrong information that Malaysians had been fed for many years that the Independence Day of Malaysia was 31 August 1957, when it was in fact the Independence Day of Malaya. Sarawak and Sabah (North Borneo then) became equal partners with Malaya and Singapore in the formation of the Federation of Malaysia on 16 September 1963. Because of this awareness, it is observed by many that fewer Sarawakians are displaying the Jalur Gemilang on 31 August, instead, choosing to do it on 16 September each year. It is important that we acknowledge our actual history and honour it, instead of buying into a manufactured story. Understanding our history helps to unite us in our common identity as Sarawakians, and gives us a clearer sense of the purpose of our forefathers. It is imperative that every one of us understands why they agreed to the formation of Malaysia, what the factors were at play, at what transpired at the negotiations, which culminated in the signing of the Malaysia Agreement. Without understanding history, it is impossible to chart a clear course for Sarawak, as was intended by our ancestors. On Malaysia Day, it is also timely to remind our Federal and State leaders of the representations and undertakings to Sabah and Sarawak by the Malayan leaders which have remained unfulfilled more than 50 years after the agreement was signed, particularly the promise that we should be elevated to the same level of development as Malaya, as said by Tunku Abdul Rahman: that one of the principal objectives was to further the economic development of the Borneo Territories so that their standards of living and technical skills might be raised, and a firm basis provided for accelerated economic growth, … so that the gap between a relatively backward state and the advanced would be narrowed and not widened. It is timely that our State leaders be reminded to continue pursuing what is due to us and keep pushing for the unfulfilled promised to be kept. Although our present leaders have made some moves in this regard, we hope that their discussions are not just rhetoric but sincere attempts to get the federal government to give to us what should be ours. For our Pakatan Harapan leaders, we believe that the promises made to Sabah and Sarawak in the manifesto will be fulfilled in good time if PH should win the next elections. Our leaders have indicated their seriousness and resolve to ensure that what our forefathers had agreed upon and hoped for will be fulfilled within our lifetime. This is my dream, that I will live to see our rights finally being respected. Malaysia was built on a foundation that is our Federal Constitution, which established the social contract amongst the various peoples of Malaysia. In Professor Shad Faruqi’s words, the Federal Constitution reflected the ‘consciousness of the social, economic, political and ethnic realities of the Malay peninsula’ (and later Sabah and Sarawak). 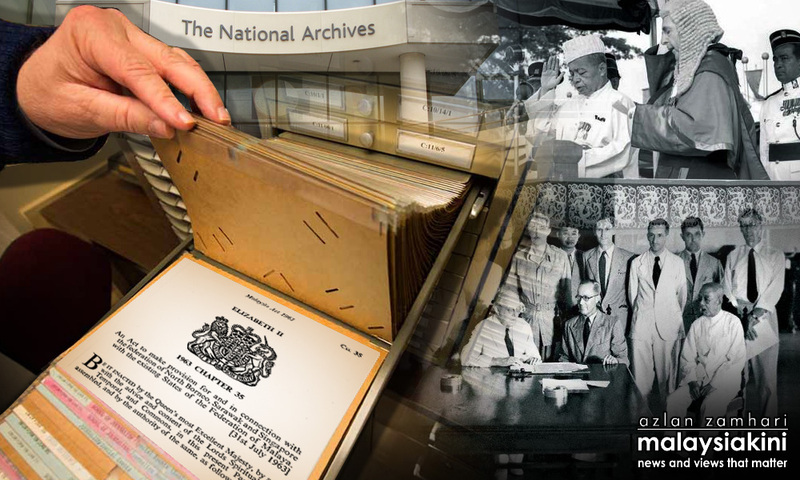 The Federal Constitution recognises that there was a place for everyone in Malaysia. However over the past few decades, particularly after 1969, race and religion had been used to undermine the social contract. The actions of the UMNO/BN government to entrench the special position of Islam and the Malays, the institutionalised racism via the NEP, the playing on Ketuanan Melayu or Malay supremacy, the setting up of various Islamic bodies such as JAKIM with generous funding, attempts by various groups and bodies to ‘support transformation to a theocratic state’ (in Prof Shad’s words) etc have caused deep polarisation between the Muslims and non-Muslims. The religious freedom of non-Malays is continually being eroded, highlighted in the Lina Joy case where policy considerations were held to be stronger than law. Since that case, there have been many instances of unilateral conversions, body-snatching, resistance/refusal to allow conversions out of Islam, all of which have rendered the freedom of religion guarantee in the Federal Constitution illusory. Recently, the fiasco with the RUU355 hudud bill and the removal of s 88A of the bill to amend the Law Reform (Marriage & Divorce) to stop the unilateral conversion of minor children point very clearly to the undeniable fact that the UMNO/BN led government is playing politics with religion, placing no consideration to the rights of non-Muslims. All that matters to them is a win at any cost. In Sarawak, we are observing the events with distaste with alarm. At the same time, we are asking for our rightful share of our resources and development. In every aspect of progress, we are lagging behind – be it infrastructure, healthcare, educational facilities, economic development, etc, we are at least 20 years behind. In the face of these challenges, we must have some hope for Malaysia. There are people and groups who are working hard to bring about a change of government so that we can install a government that puts the rights of the people as paramount, upholds the guarantees given in the Federal Constitution, and administers the country with accountability transparency and competency. In the meantime, we reiterate our call for the State leaders to continue defending and restoring our rights, and to get a better deal for Sarawak. Our national and state political leaders and the judiciary need to focus on the legal and constitutional aspects of issues instead of allowing for other factors to take precedence. The executive arm of government must not pass laws that violate the understanding that was established between the various peoples of Malaysia in the form of the social contract that is the Federal Constitution. We continue to celebrate Malaysia Day in Ba’ Kelalan constituency, and I am proud that we maintain the spirit of unity among all races and ethnic groups here. We must never lose this spirit of togetherness, which is so much a defining characteristic of our people. 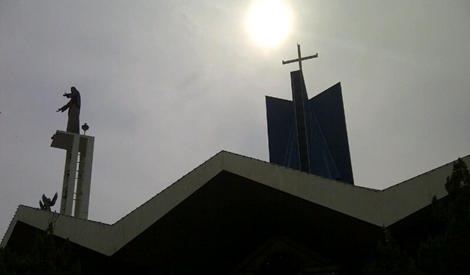 Let us continue to work and pray for a better Malaysia, as envisioned by our forefathers. The commemoration of Malaysia Day will only become truly meaningful if we can fulfil the hopes and aspirations they had in their hearts when they made the decision to become equal partners in the federation to be called Malaysia. Imagine the pride and joy we will feel on that day when we can say that we have made their dreams, and ours, come true. Although it may appear to be a mammoth task, nothing is impossible, and I hope that in the near future, we will be able to honour this day, and the departed ones who made it happen, in a truly joyful, exuberant and jubilant celebration. God Bless us all, and God Bless Malaysia. PRS Information Chief Andy Lawrence should try to employ some logic in the attempted defence of his party chief, otherwise he is merely shooting blank bullets, leaving him and his boss no better off than when they started. Baru Bian had reason to criticise the Jiwa Murni road. He has seen the roads for himself, and he was also quoting from the Auditor General’s Report 2016, which is a public document. The AG had said that the roads were badly built, and the safety aspects were less than satisfactory. If the AG had seen the roads in Ba’ Kelalan, he would have been even more critical. The objective of the government was to provide road connectivity, which is met when the roads are in mint condition. Once the roads have become impassable, after a few months or a year at the most (in the case of Ba’ Kelalan and Marudi) the objective has failed. Why should the government continue to pay money for projects that have failed to meet their objectives? Suggesting that the government should repair the roads is well and good, but Andy should know that infrastructure is in the federal list, and the oft-heard reply to such requests is that there is no budget from the federal government for repairs, and this has been said by Minister Michael Manyin in the DUN in reply to Baru Bian’s queries. To then suggest that the Selangor government should pay for our roads shows that Andy Lawrence has little understanding of the concept of federalism. All states and Sabah and Sarawak contribute taxes to the federal coffers, and the federal government is supposed to allocate funds to them according to their needs, in the national budget. If he had bothered to do just superficial research, Andy would know that Selangor and Penang contribute the most tax per capita, but have received next to nil allocations from the federal government. In April this year, Bukit Mertajam MP Steven Sim said that in 2013, Penang only received 0.07 per cent and Selangor 0.31 per cent of the federal budget from Putrajaya. Selangor executive councillor Ean Yong Hian Wah was reported to have said that the federal government blocked all funding to Selangor after the federal Opposition took over the state in 2008. Not only that, in March this year, the federal government stopped federal funding of even the small small-scale infrastructure projects at the local council level, in Selangor constituencies outside of BN control. This sabotage by the BN/UMNO government is to punish the people of Selangor and the voters of the opposition, and also because of lack of funds due to the mismanagement and misappropriation of our funds by the PM and his BN/UMNO government, with which Andy and his boss seem to be proud to be associated. Due to the neglect by the federal government, Selangor and Penang have to depend on their own funds for their own expenditures and projects. Why should they subsidise development in Sarawak, a fixed deposit of the BN? Andy should question his loyalty and that of his party to the BN coalition instead of simply shooting without applying his mind or logic to the bigger picture.